Microplastics have been a big issue for a while. They end up in the sea and even inside the creatures who live there. 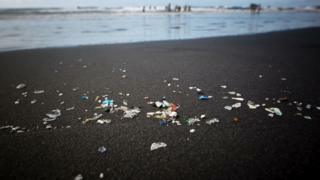 But now it seems that microplastics have travelled even further. Researchers at the University of Strathclyde in Glasgow and EcoLab in France have found microplastics in a remote area of the Pyrenees mountains between France and Spain. There aren't many people in this region, which suggests the particles were transported by wind, through the air, from more populated areas at least 59 miles away (95 kilometres). 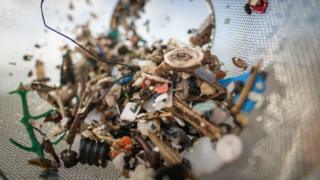 Microplastics are very small pieces of plastic waste that include plastic fragments and fibre. They are usually produced as plastic slowly breaks down. Some of the fibres found were so small that they could be inhaled. The study collected samples over a five-month period and recorded average daily counts of 365 pieces of plastic per square metre. Scientists are still unsure of the distances microplastics can travel, but they think fragments could be travelling through the atmosphere over distances of at least 60 miles. According to lead researcher Steve Allen 'the likely culprit is single-use plastic packaging' although researchers are still not certain. 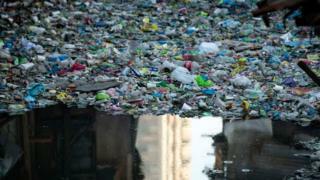 They say the findings are worrying and we need a global approach to managing single-use plastic.